If you are struggling with wrinkles between the brows or crow’s feet, you may be considering an injectable to eliminate those fine lines. Once upon a time, Botox was one of the only solutions for these wrinkles. Today there are three primary options for these lines: Botox, Dysport, and Xeomin. All three will give you similar results, but they are different in some ways. All three of these injectables have the same active ingredient. These injections use a neurotoxin called botulinum toxin type A, which relaxes the muscles in the face. This relaxation of the muscles allows for folds in the skin (wrinkles) to be smoothed out. Botox and Dysport have additional active ingredients such as proteins that will help eliminate fine lines and wrinkles for a longer period of time. These additional ingredients help to slough old skin and smooth out the skin as new cells grow. This allows your results from Botox and Dysport to last longer. With all three of these injectables, you do have to repeat the treatment about every 3 to 5 months to maintain results. Botox is the longest lasting, with results lasting as long as 5 to 6 months. Dysport results last about 4 to 5 months. Xeomin lasts the shortest period of time, and may need to be repeated every three months. With the similarities between the three, it can be difficult to choose an injectable. If you are looking for the most natural and fewest ingredients, Xeomin could be the right solution for you. If you are looking for a cheaper solution, Dysport is often less expensive and offers faster results. 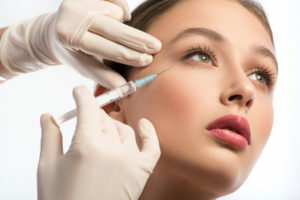 If you want to go with a traditional injectable that is guaranteed to provide lasting results, Botox would be the answer. ← Which Fillers are Best for Wrinkles?